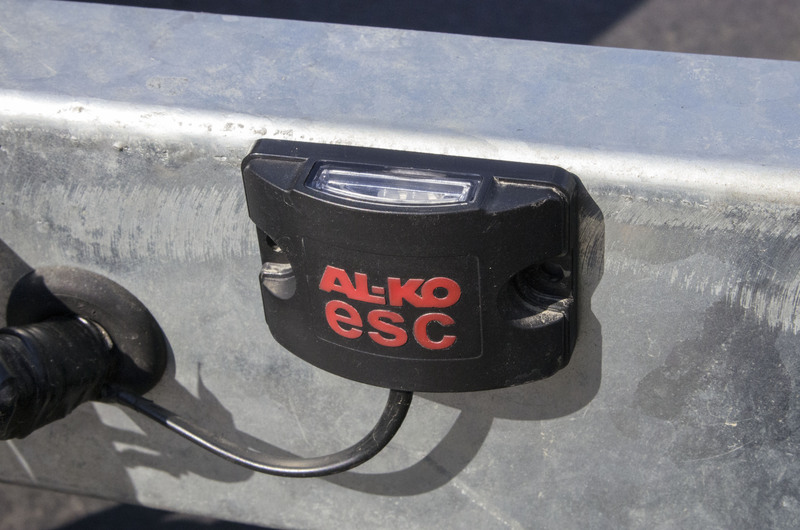 AL-KO ESC is designed to keep your caravan stable in "less than perfect" situations. Here’s a guide to how it works. You’re driving along the highway and a car unexpectedly brakes in front of you, causing you to swerve to avoid it. If you’re towing a caravan, this sudden swerve could cause your caravan to enter in to a violent sway sequence, eventually resulting in your caravan overbalancing, and potentially taking your car with it. This is where a system like electronic stability control (ESC) comes in – it automatically assists in an emergency situation where you could lose control, keeping you upright and safe on the road. What is electronic stability control (ESC)? ESC was originally developed for use in motor vehicles, helping the driver to control the vehicle in an emergency situation. In a car, the ESC system uses sensors in the vehicle to compare differences between the car’s actual course and the driver’s steering-wheel input. When the onboard computer senses that loss of control is imminent, the system automatically reduces engine power and applies the brakes to individual wheels to help the driver bring the car back into line. 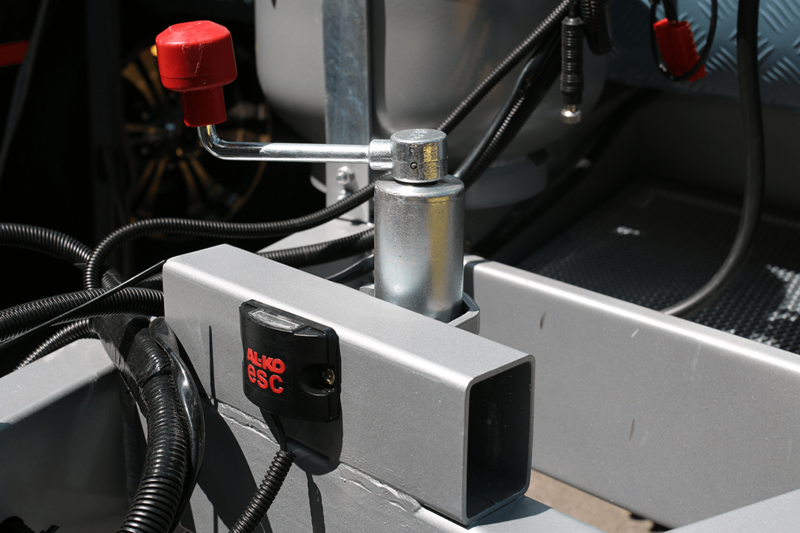 ESC has now been developed for caravans, providing next-generation safety technology while you’re towing. The electronic stability control system (ESC) uses a sensor mounted on the underside of the caravan to constantly monitor for the presence of critical sideways movement. These can take the form of a build-up of small oscillations or one large, sudden lateral movement – for example, if you’ve swerved suddenly to avoid a passing road train, or the caravan has been buffeted by a sudden gust of wind from a passing road train or B-double. When the critical point of lateral movement is reached, the system automatically applies the caravan’s brakes, bringing the caravan back in to line. According to the Federal Chamber of Automotive Industries, automotive electronic stability control can significantly reduce the likelihood of a motor vehicle being involved in loss-of-control crashes. When ESC is installed in your caravan, it ensures you have the most effective technology available to handle dangerous situations on the road. Can it be retrofitted to older caravans? The safety device has been adopted and offered as standard equipment by most caravan manufacturers in Australia over the past two years. It is now available for retrofit to older caravans that have AL-KO electric brakes and an approved suspension configuration installed. It can be fitted to single or tandem axle caravans. 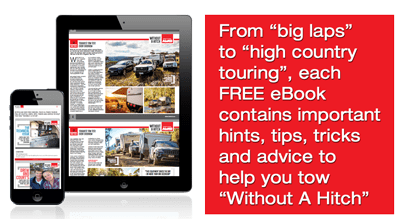 However, if you plan to use your caravan for serious off-road use –ESC should be installed using a 2 pin/Anderson plug so that it can be disconnected when you head off road then plugged back in when your on the “black top” or maintained dirt and gravel roads. ESC has been found to work so well for caravans that the Caravan Industry Association of Victoria (CIA VIC) has endorsed it as revolutionary technology. What’s more, leading caravan and RV insurer “CIL Insurance” offer discounted premiums if you have an ESC system fitted to your caravan. For these reasons, or just for peace of mind that your caravan’s stability will be monitored, installing electronic stability control makes good sense. 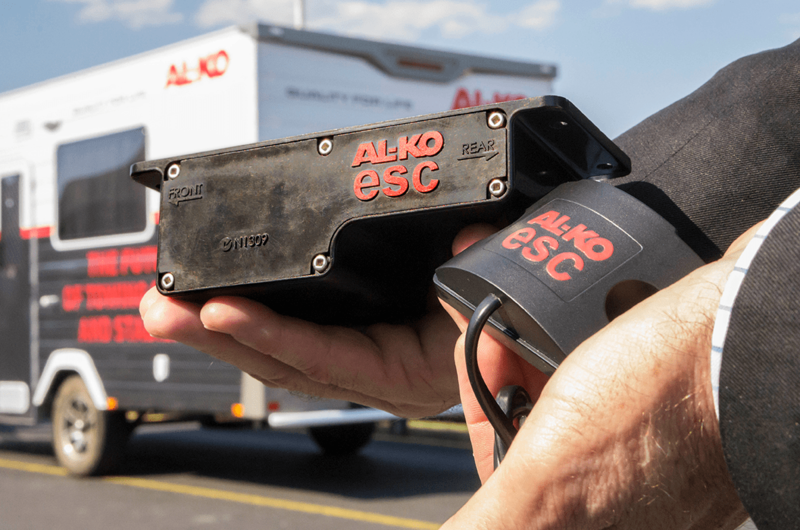 Are you considering fitting AL-KO ESC to your caravan? Visit http://www.alkoesc.com.au/experience/ to register. © 2016 Without A Hitch. All Rights Reserved.